We are planning to build a new wastewater treatment plant at Snells Beach. Planning is under way to replace the Army Bay Wastewater Treatment Plant's ageing outfall pipe. Clevedon village residents will soon be able to connect to mains water and wastewater services. We are installing a wastewater pipe that will run from Scorpio Place to Rosedale Wastewater Treatment Plant, to improve Auckland's wastewater services. ​​​We are upgrading the wastewater network in Glen Innes. One of Auckland’s main water supply pipeworks from the west is being replaced with a larger pipe to cater for future population growth. This 31-kilometre pipeline through Manukau and Auckland cities will meet growing demand and increase resilience. We are constructing a new wastewater pipe in Lawsons Creek. We will build a new pump station to replace the Sidmouth Street Pump Station in Mairangi Bay. We’re building an extra facility to increase the capacity of the treatment plant. This pipe will cater for the west and north, ensuring security of supply. We are upgrading the Northcote wastewater network. Built in stages, this pipe will redirect wastewater from the north-west to the Rosedale Wastewater Treatment Plant. Resource Consents that authorise discharges from the Omaha Wastewater Treatment Plant were granted in March 2017​. We are upgrading the Pukekohe Wastewater Treatment Plant and improving the quality of the treated water discharge. We are upgrading our wastewater services to south-west Auckland. Warkworth residents are now drinking treated spring water as our new water treatment plant is live. 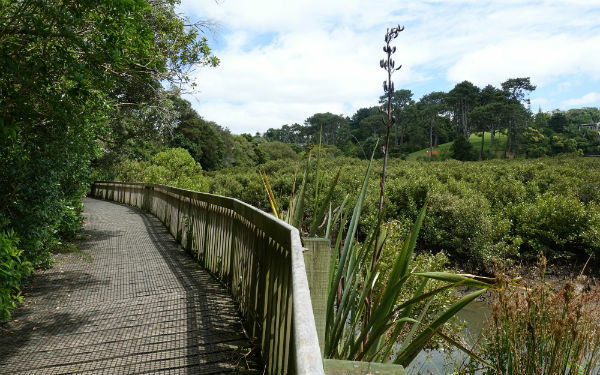 We are reviewing the wastewater treatment and discharge options in Whangaparāoa and surrounding growth areas. We are upgrading the wastewater treatment plant that serves the Wellsford and Te Hana communities. We are increasing network capacity to accommodate growth in Wynyard Quarter.